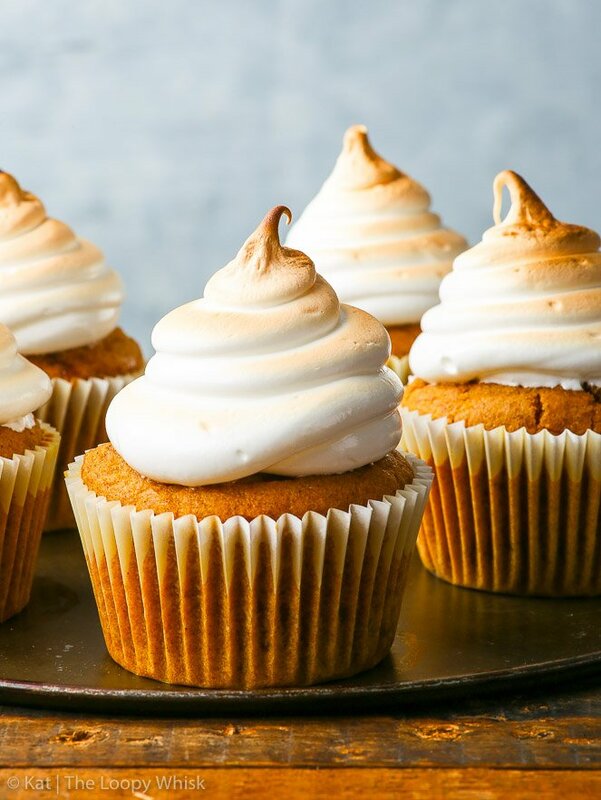 These dairy and gluten free pumpkin cupcakes are the ultimate fall dessert. 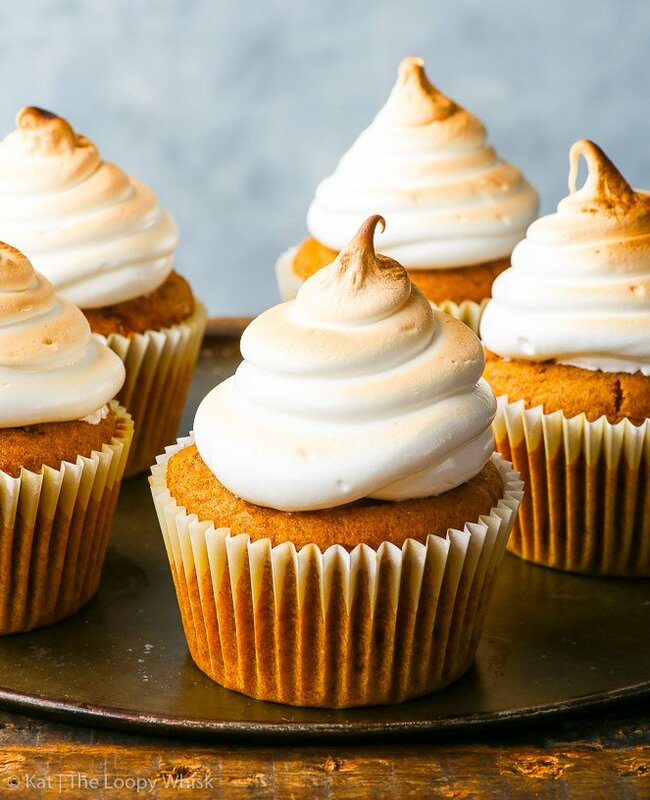 Stuffed with homemade caramel and topped with a sweet, fluffy marshmallow frosting, they will make your taste buds all sorts of happy. I’ve been asked to provide nutritional information for my recipes quite a lot, lately. And when I say “nutritional information” what I actually mean are “the calories per serving”. And here’s the thing: I won’t. 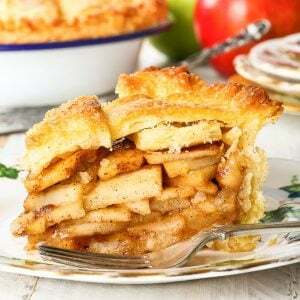 There have also been a few… enthusiastic… readers who have taken the time to calculate the nutritional information – and proceeded to badmouth this or that recipe because it contained X or didn’t contain Y or the serving size was too small or too large or “maple syrup is sugar and sugar is bad” or “xanthan gum is MSG and MSG is bad”. Okaaay. Let’s tackle this, shall we? I will not provide the nutritional information, especially not calories, because food is more than the numbers on a nutritional label. Period. If you are concerned about some nutritional aspect of a recipe, you can always plug the ingredients into one of the bazillion online calculators and it will give you a number. But that’s all it gives you. A number. It won’t tell you that the marshmallow brownies are all dense and chocolatey and delicious, it won’t show you how pretty these pistachio raspberry energy bars are, and it won’t tell you how the kitchen fills with the most amazing smell when you bake the gluten free apple pie. Now, sugar. I’m not anti-sugar. I’m not saying one form of sugar is better than another. Yes, maple syrup, honey, coconut sugar and white sugar are all forms of sugar. (Note that I didn’t say they are the same. They aren’t.) I provide recipes for people with all sorts of health problems and on all sorts of health journeys. Some prefer maple syrup, for some white sugar is the be-all and end-all of baking. 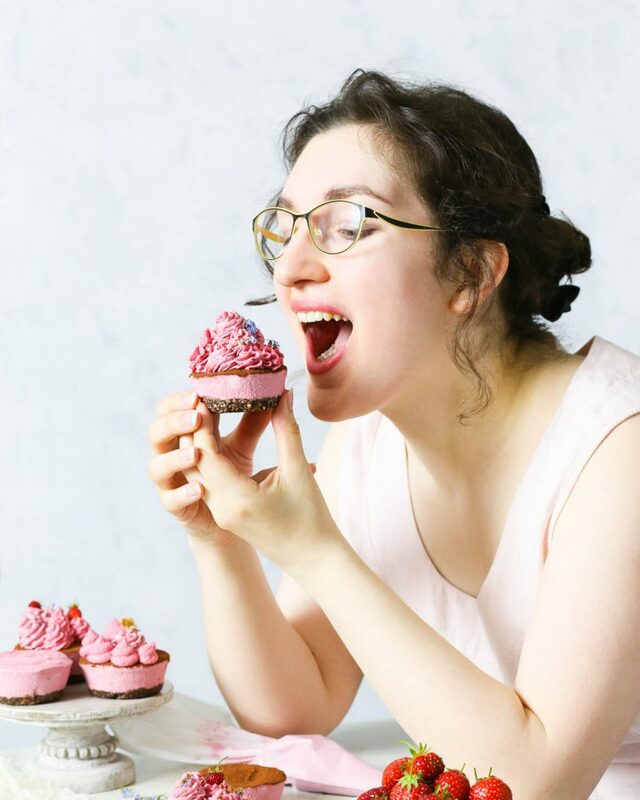 And it’s your decision which form of sugar you use in a recipe (and how much of it) – in most recipes, substitutions and modifications are possible, so please contact me before giving up on a recipe because you don’t like the form or amount of sugar that’s listed. And finally: the pearl of knowledge that is “xanthan is MSG”. *sigh* Okay people, I’m donning my Chemistry PhD student cap now. Xanthan gum and MSG (which stands for “mono sodium glutamate”) are chemically two completely and utterly different substances. They are not the same. Not. Even. Close. And while there have been health concerns raised regarding MSG, I haven’t found any convincing evidence that xanthan gum is in any way harmful. Now, don’t go eating spoonfuls of it, obviously, but in the amounts used in baking? There shouldn’t be any problems. But if you do have concerns: it’s possible that there are viable substitutions – so get in touch, and we’ll brainstorm away. Can we focus on the delicious dessert now? Yes? Great. You may have noticed that the world is going pumpkin-crazy. Well, this is me jumping on the pumpkin bandwagon. I’ve never been a huge pumpkin dessert fan (*gasp* shocking, right? ), but oh boy, these cupcakes… these dairy and gluten free pumpkin cupcakes are something else. Something delicious, in that just-one-more-bite way. (It’s always more than just one bite, though). 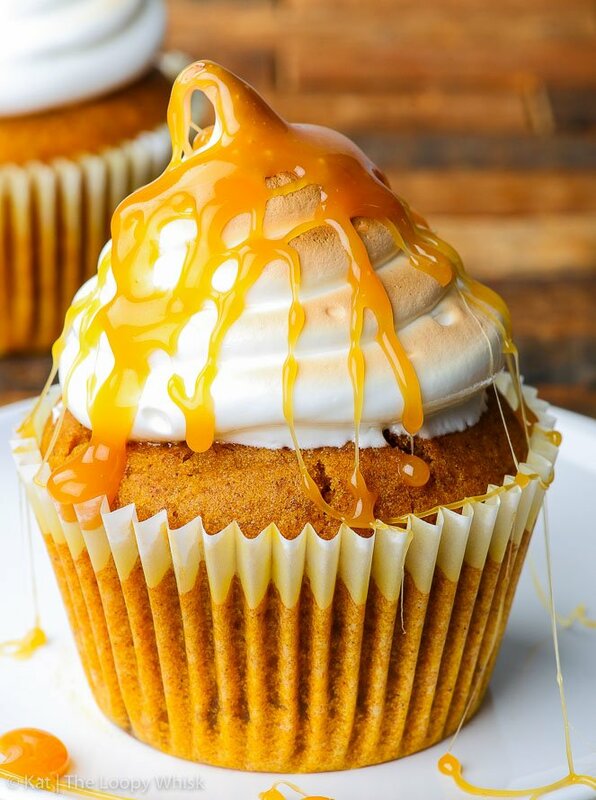 These are pumpkin cupcakes upgraded and improved. 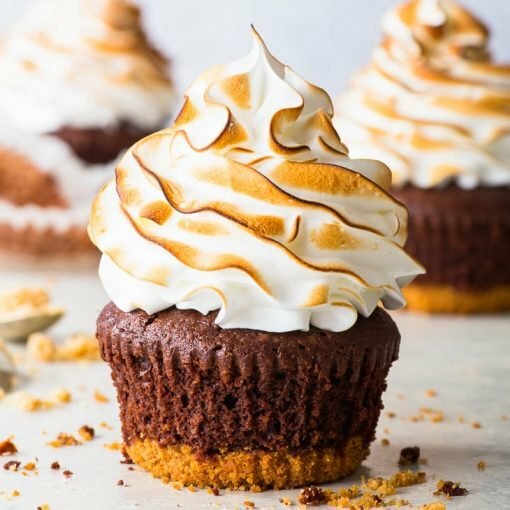 They’re stuffed with a gooey caramel centre and topped with the fluffiest marshmallow frosting ever (which you might recognise from the sky high marshmallow brownies). You know how gluten free cupcakes can sometimes turn a bit dry? Totally not the case here. The pumpkin puree keeps them soft and moist, and gives them the most amazing earthy flavour. 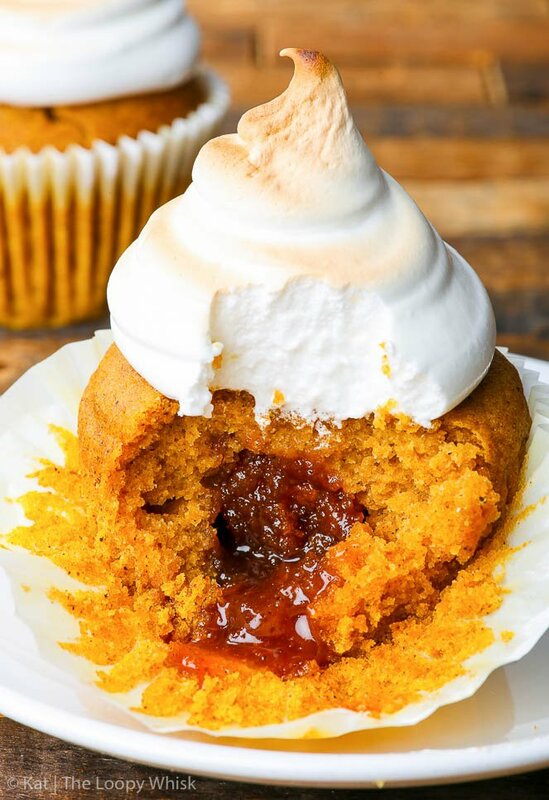 Throw a generous helping of spices into the mix and you’ve got yourself a pumpkin cupcake winner. The caramel centre is made from homemade caramel (super easy to make, trust me), and it will make your tastebuds all sorts of happy. 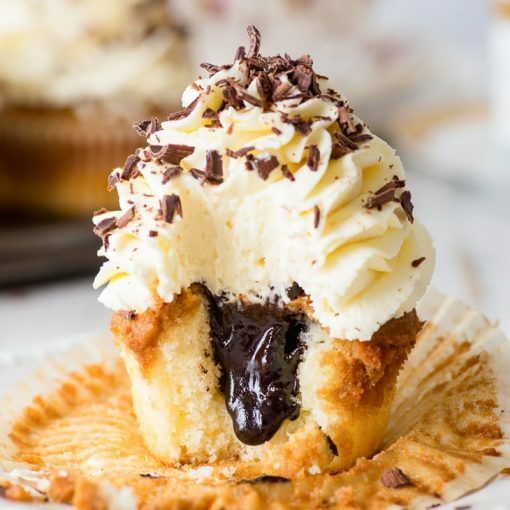 It does absorb into the cupcake batter a bit, but you still get the drool-worthy sticky, gooey ooziness (<— totally a word) we all expect and love when it comes to caramel goodness. And the marshmallow frosting… It will make you happy. Let’s leave it at that. 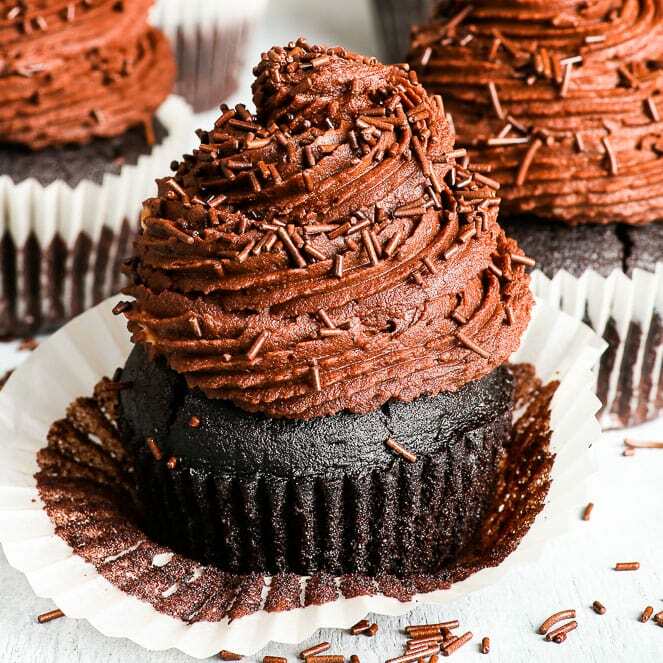 And we definitely won’t mention the spoonfuls of it that inevitably disappear somewhere between making it and frosting the cupcakes. In a saucepan, heat the caster sugar on medium heat, stirring constantly with a heat resistant rubber spatula or a wooden spoon. The sugar may initially form clumps, but will eventually melt into a thick golden brown liquid as you continue to stir. Be careful not to burn the caramel. Once the sugar is completely melted and the colour is a dark golden brown, add the coconut cream. On its addition, the caramel will bubble rapidly and steam is released – be careful. Stir the coconut cream into the caramel until completely melted and let it boil for another minute. Remove from heat, add the salt and stir well. Set aside to cool completely. The caramel get thicker. When it's at room temperature, you should be able to form balls from it. 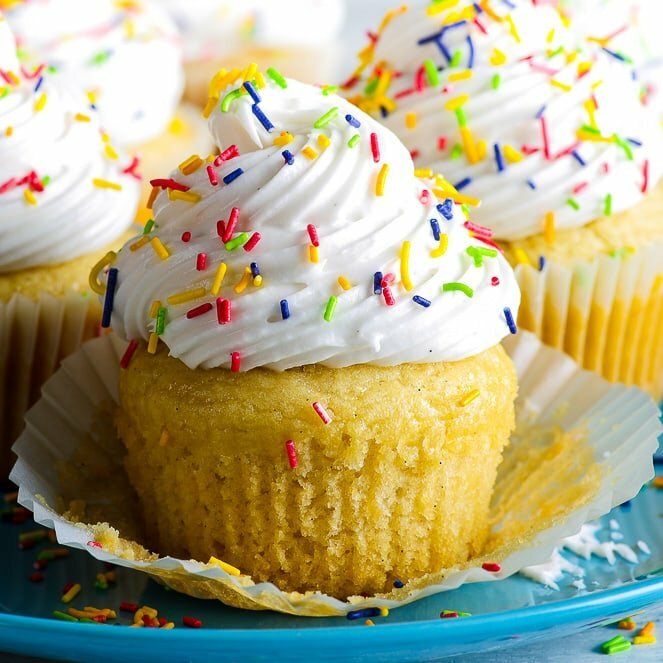 Pre-heat the oven to 350 ºF (175 ºC) and line a cupcake tin with 12 cupcake cases/liners. In a separate bowl, mix all dry ingredients together and sift them into the wet ingredients. Mix well until you get a smooth batter. Shape ~1 - 1 1/2 tbsp of the thickened room temperature caramel into balls (use wet hands to prevent the caramel from sticking to them) and press each ball gently into the middle of each 1/2-filled cupcake case. Divide the remaining cupcake batter among the cupcake cases, so that it completely covers the caramel balls. Bake in the pre-heated oven at 350 ºF (175 ºC) for about 20 minutes or until golden brown on top. Mix all the marshmallow frosting ingredients in a heat-proof bowl, and set the bowl above a pot of simmering water. 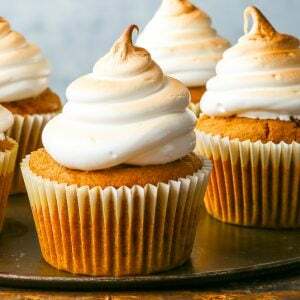 Using a round nozzle, pipe the marshmallow frosting on top of the cupcakes. Place the frosted cupcakes under the grill for no more than 5 - 10 seconds until they are nicely toasted. Really keep an eye on them, as they catch quickly! 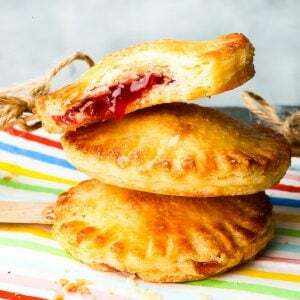 (You can also use a kitchen blowtorch). Allow the cupcakes to cool and enjoy! 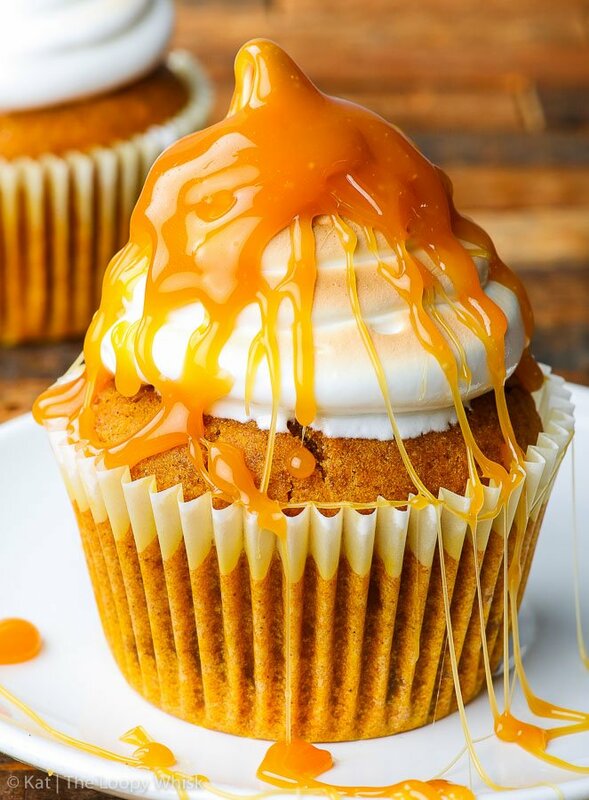 The caramel-stuffed pumpkin cupcakes keep well in a closed container in a cool dry space for 3 to 4 days (riiiiight... that's so not happening). 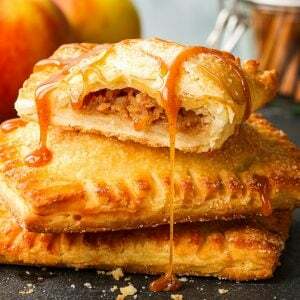 Looking for more awesome fall desserts? You’ve come to the right place! Hi Kat, I love the combination of caramel and pumpkin. One question for you, if I wanted to replace the xanthan gum, would that be one full egg? Oh, I am sorry, I thought you used the xanthan gum as a replacement for the eggs, but no I realized that you probably did it due to the gluten-free flour. Please ignore my previous post.